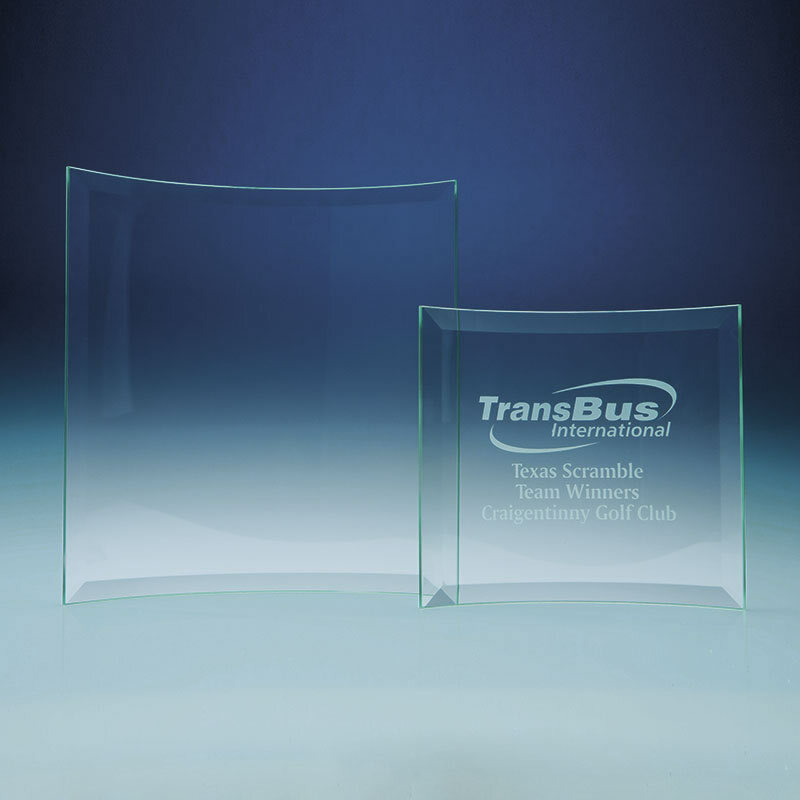 Curved clear glass frames - fine quality freestanding 8.5in x 9in glass frames in crescent design, ideal for engraving as awards. These freestanding frames are made in clear curved glass and feature a bevelled border. 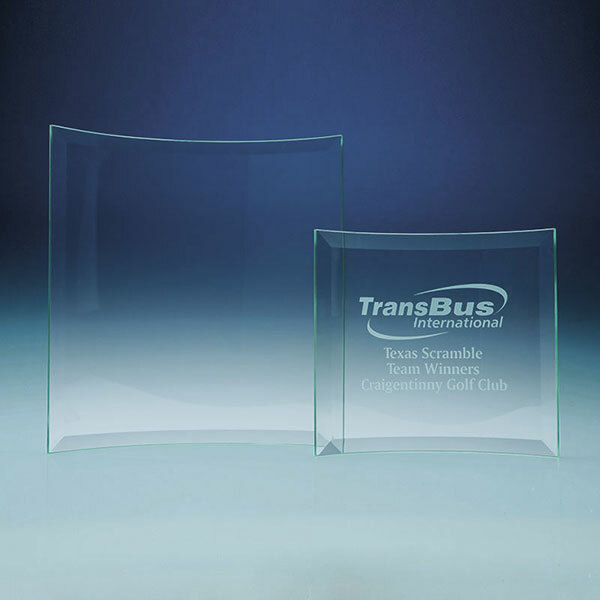 Sized 8.5in wide by 9in tall, they are ideal for engraving with corporate logos as business gifts or promotional merchandise, or with event details as achievement or recognition awards. These glass frames feature large engraving areas and are offered with low-cost engraving of text or logos.